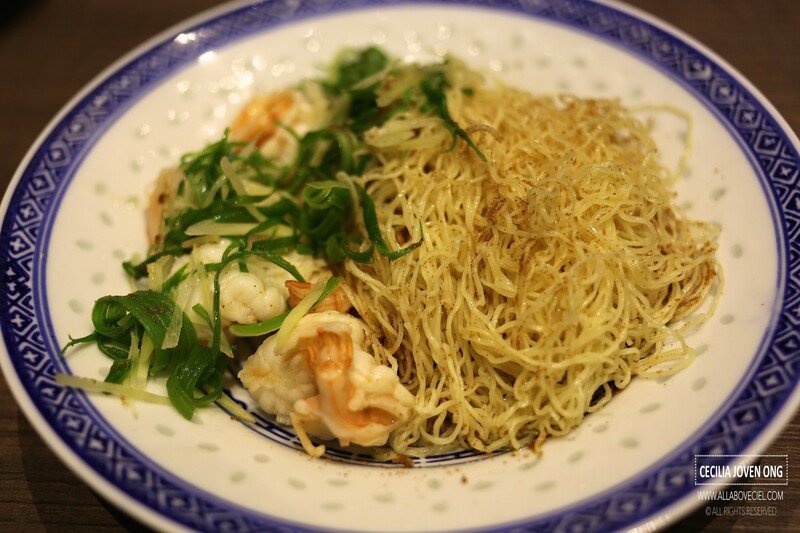 This is indeed the Mak's Noodle from Hong Kong, the most talked about wanton noodle that was awarded a Michelin status and have 6 outlets all over Hong Kong. The current owner is still following the exact recipe that being handed down from the founder of Mak's Noodle and its taste has supposedly remain unchanged for almost 100 years. 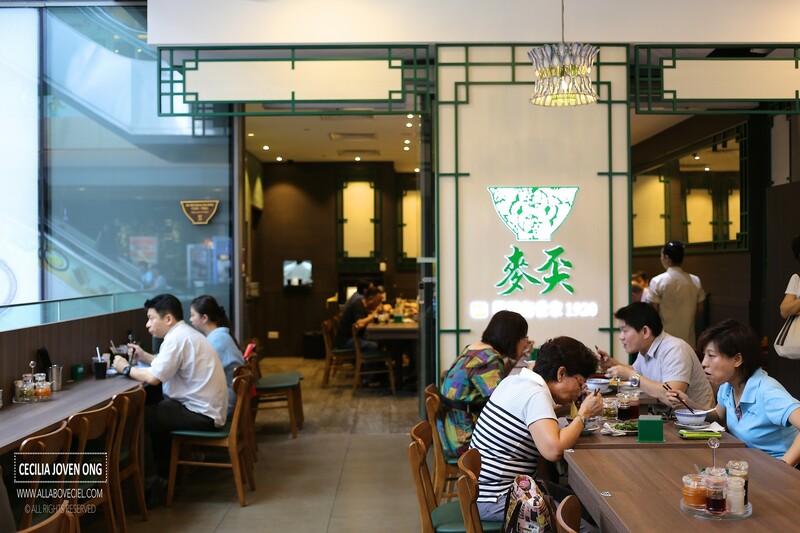 It is currently under the charge of Mr Tony Yung, the son-in-law of the second generation owner that started it in Guangzhou in 1920. 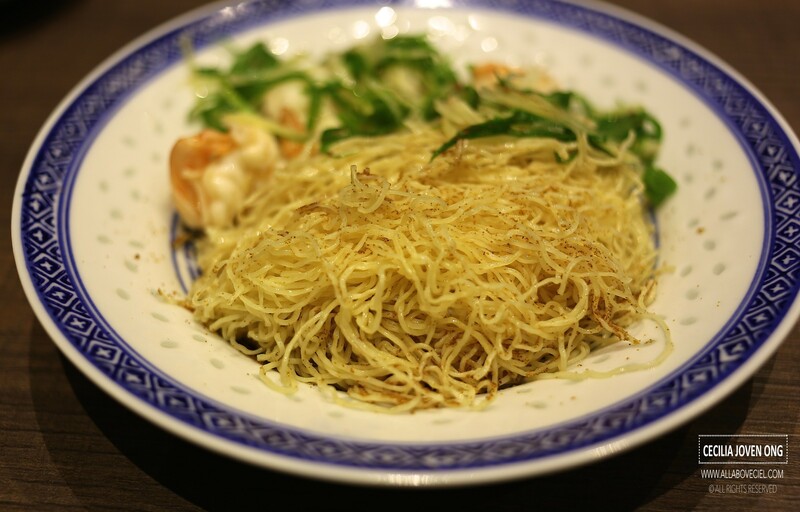 They are well-known for its thin and springy noodles and plum wantons with prawns. 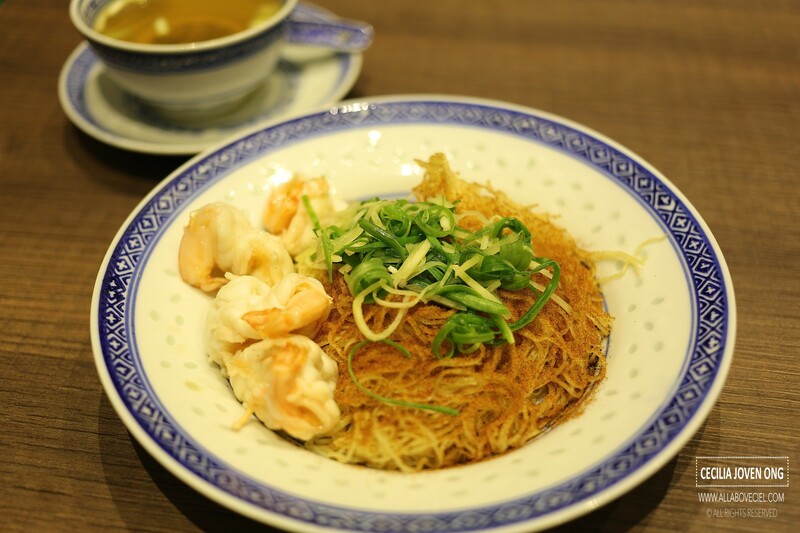 To maintain the quality, the 2 outlets in Singapore are directly importing the noodles that are made using flour from Canada for a springier texture together with the wanton skins from Hong Kong. 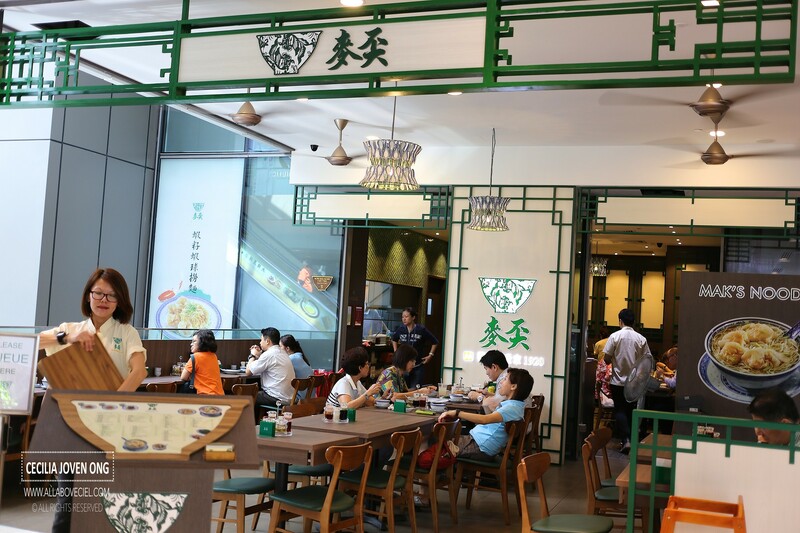 The Director of Asia Gourmet Private Limited managed to persuade the owner of Mak's Noodle to open their first franchised outlet in Orchard then followed by the other outlet at Westgate. Chef Chan For Kam that came from their outlet at Wellington Street is the Head Chef here and will also supervise the future opening outlets, he will be based in Singapore for about 2 years. They will also stationed their other chefs from Hong Kong to the outlets in Singapore. My last experience at their outlet in Hong Kong was not a pleasant one, i happened to be there when they were near closing time. There was just another 2 tables in there. The service staff seemed a bit reluctant to serve even though they did not turn us away. Our order of wanton noodle and braised tendon noodle came rather quickly and they placed it a bit too hard on the table, giving out a loud bang sound. I am never really a fan of Mak's Noodle and i would rather go over to Tsim Chai Kee which is directly opposite their outlet in Central, for a bigger bowl and better value wanton noodle anytime. My curiosity prompted me to try their outlet in Singapore. There was no queue when we got there for lunch. We were ushered to the table and our orders taken quickly. 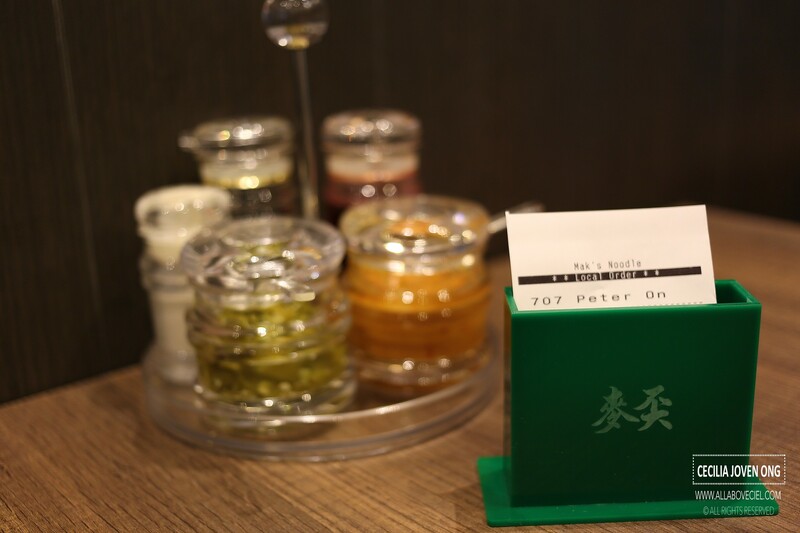 If you ever eaten in their outlet in Hong Kong, you might be surprised to find sliced green chili to be amongst the condiments provided on the table along with the same chili paste served in Hong Kong. 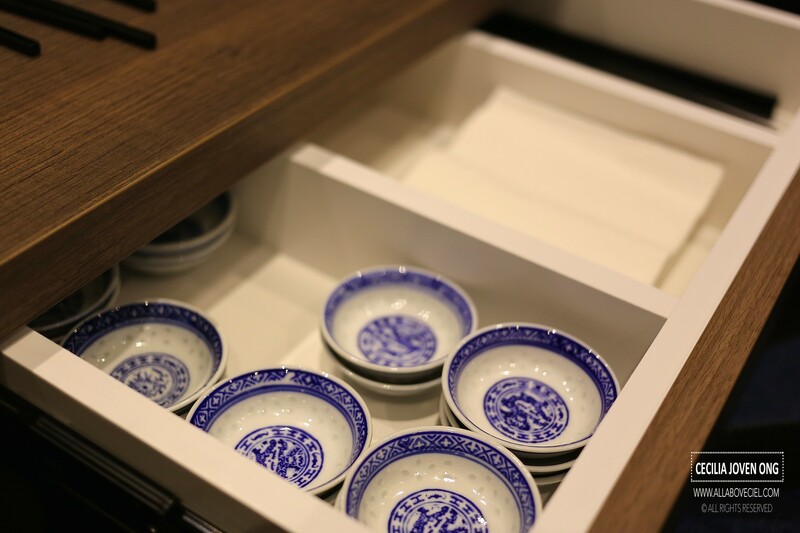 We were then told by the service staff that saucers and chopsticks are available in the drawer attached to the table. 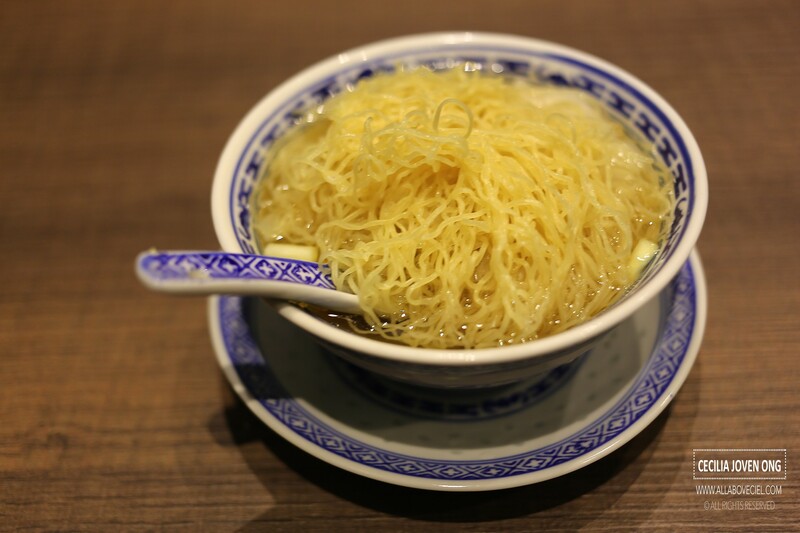 According to Tony Yung, the current owner of Mak's Noodle that wanton noodle is meant to be eaten as a snack and not the main dish, if you are not full then you will have to order another portion. In Singapore, they are sticking to same small serving size about the size of the small rice bowl just like what they are doing in Hong Kong. Such a bowl of wanton noodles is priced at HKD$36, about $6.30 in Singapore. In Singapore, it costs $6.90 here. The 4 wantons that served along are placed right underneath that pile of noodles for a purpose and that is to prevent the noodles from turning soggy by soaking in the broth for too long. 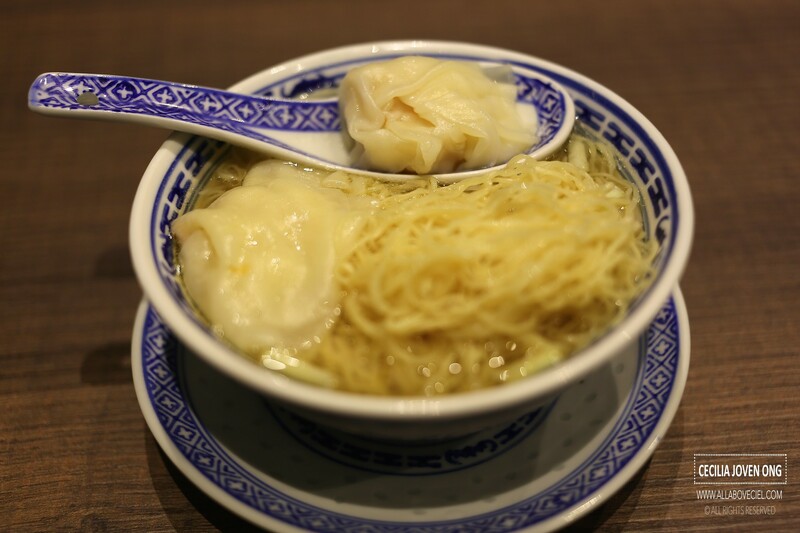 The Wanton Mee Soup ($6.90) came first, serving in an elegant looking blue and white ceramic bowl. The noodles have the distinctive springiness and no alkaline taste, which is good. The broth is flavored with yellow chives and dried sole fish to give it a natural sweetness and savoriness but a bit too mild in flavor. 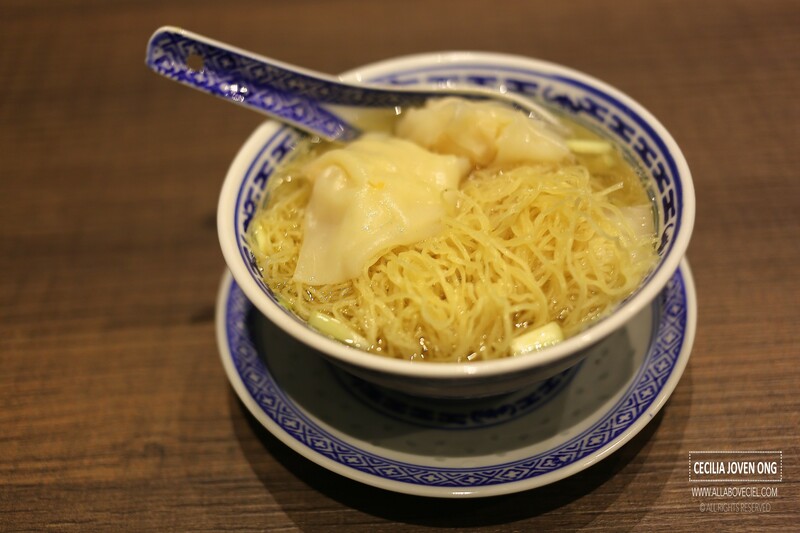 There is actually a difference between the typical Cantonese wanton and the local wanton as the Cantonese wanton has only prawns and no pork in it. As for this particular one, there was at least 2 prawns in it for an added crunchiness. Fresh prawns rather than the frozen ones are used to ensure a better quality. Next, came Tossed Noodle with Shrimp Roe and Prawns with Oyster Sauce ($16.20), if without that 4 pieces of prawns is only $8.30. 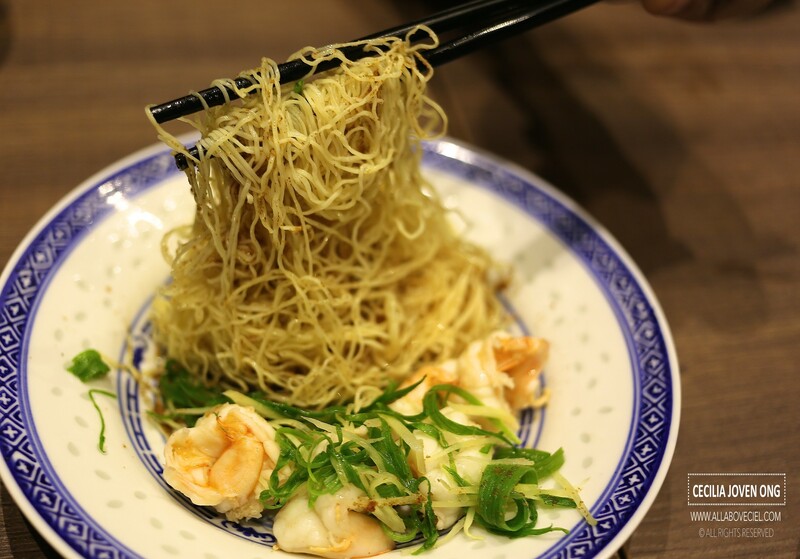 The same springy noodles sprinkled with shrimp roe but rather sparingly, it added with an intense savouriness. Somehow, it did not quite bring out the flavor as it just did not have enough to thoroughly mixed with the noodles. There are different types of congee on their menu but i just wanted to have Chicken & Mushroom Congee ($7.50). 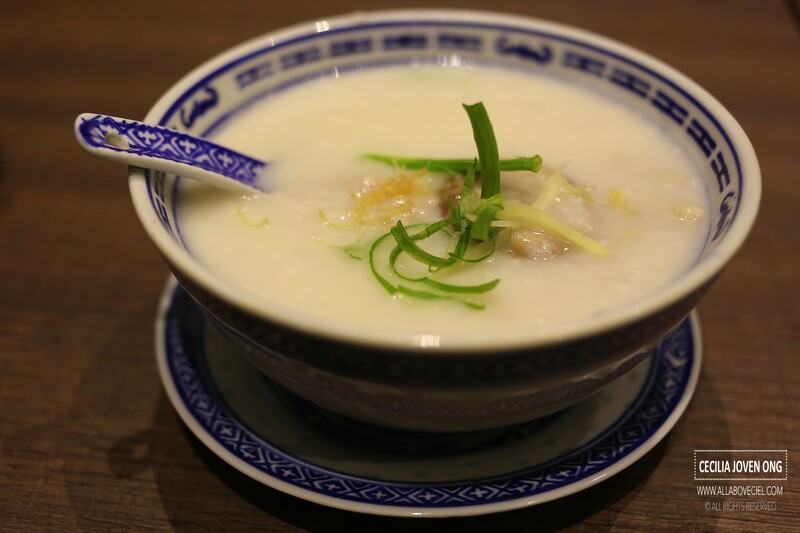 Congee is rice and water cooked down into thick porridge, Hong Kong style is usually much softer and smoother with every grain nicely dissolved into a thick gruel. It was served with generous amount of ingredients. After paying $36.02, we were still left feeling hungry. I would rather have local wanton mee for $3 or $4 that is filling, satisfying and more importantly, cheaper. Worth it or not, it might still be quite an experience for those who have yet to try it in Hong Kong, at least, you do not have to fly there to eat it now. 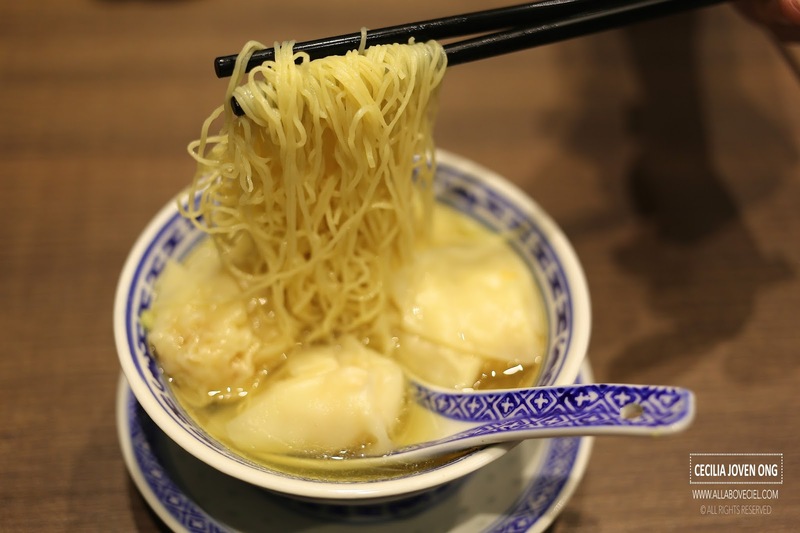 As a frequent traveler to Hong Kong and after eaten bowls of wanton noodle there, Mak's Noodle has never been my best Wanton Noodle and even some of the Hong Kongers do not eat there too.